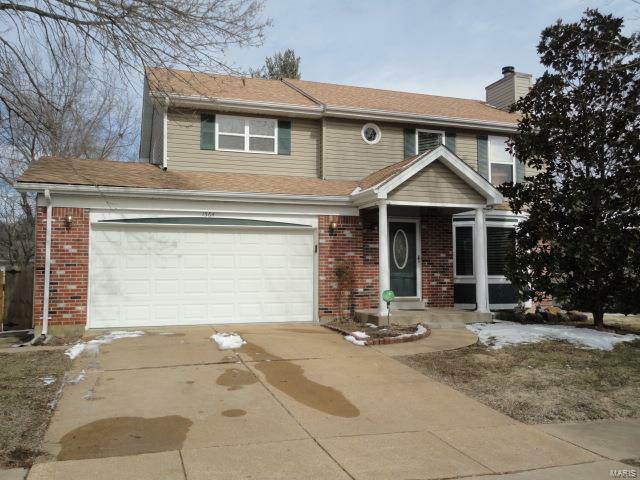 Welcome, This Oversized Two Car Garage, 4 Bedroom, 2.5 Bath Home has Everything for the Growing Family. The Entry Foyer Leads to the Great Room with Bamboo Wd Flooring, Wd Burning Fireplace, Handcrafted Bookshelves, Front Bay Window and Custom Ceiling Fan. Next, for Family Gatherings is the French Door, Wd Bamboo Floor, Crown Mold, Chair Rail, Dining Room. In the Hallway to the Kitchen is a New Mirror, New Vanity and Freshly Painted Hall Half Bath. Once in the Kitchen Amenities Begin with Ceramic Flooring, Granite Countertops, Newer Appliances, Refrigerator, Dishwasher, Microwave and Range. The Breakfast Room has Granite Countertop, Ceramic Floors, and Vinyl Sliding Glass Door Opening to the Huge Two Tiered New Deck. Upstairs the Large Master Bedroom includes a WIC, Custom Ceiling Fan and Separate Tub and Shower Master Bath. The Other 3 Bedrooms are very Nice Sized with Six Panel Drs, Ceiling Fans, and Convenient Full Hall Bath. The LL Boost of a Big Family Room, Bar and Laundry Room.